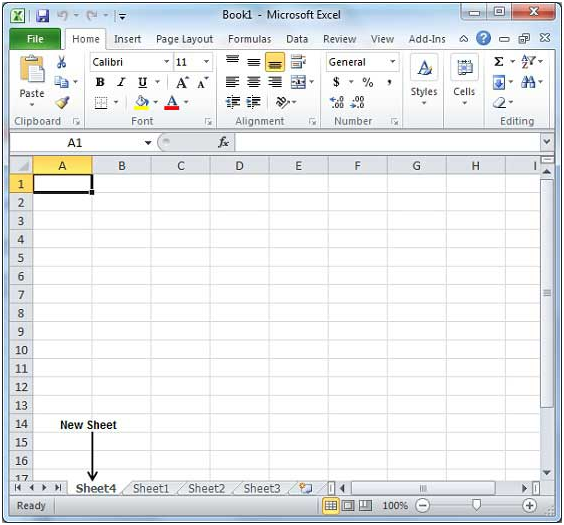 In MS Excel 2010, three new blank sheets will open by default. In case you wish to start a new worksheet while you are working on another one or you had already closed one and wish to start a new one. 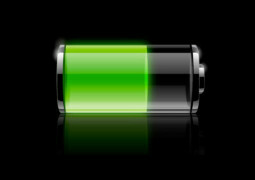 Then follow these simple steps. 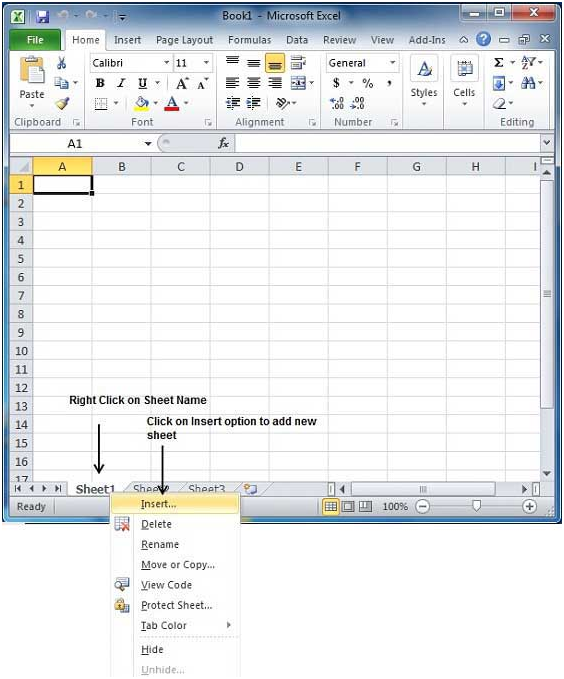 Step 1 – Right click on the Sheet Name and select Insert option. 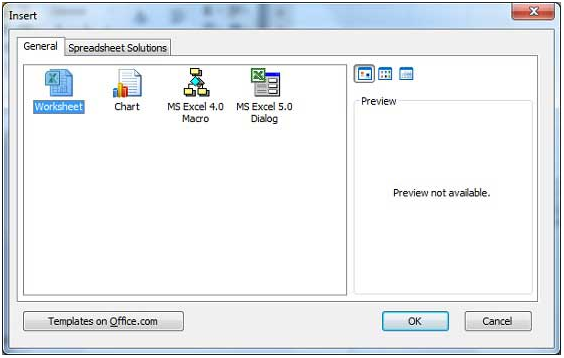 Step 2 – Now an Insert dialog will appear on the screen, select on Worksheet option and give a click on OK button. Now you will see a blank sheet ready to get started for working. If you need to create a blank sheet swiftly, then press Shift +F11 keys and it will offer a new blank sheet.